The High Court in Lahore rejected Asia Bibi’s appeal and confirmed a death sentence on Thursday morning. During the four-hour morning hearing, before a panel chaired by Judge Anwar ul Haq, the defense submitted its written arguments that demolish the prosecution framework, exposing the witnesses lack of credibility and the obvious false accusations. Shakir expressed his bitterness and disappointment. “Justice is increasingly in the hands of the extremists”, he added, announcing that, in agreement with Asia’s husband, they will now resort to the Supreme Court, the third and final level of justice in Pakistan. Amnesty International has denounced the ruling. “This is a grave injustice. 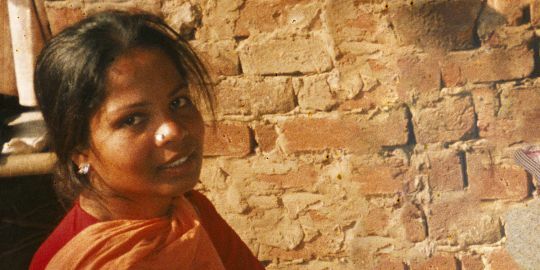 Asia Bibi should never have been convicted in the first place – still less sentenced to death – and the fact that she could pay with her life for an argument is sickening,” said David Griffiths, Amnesty International’s Deputy Asia Pacific Director. On 4 January 2011, Punjab Governor Salmaan Taseer was killed by one of his security guards after campaigning for Asia Bibi and criticising Pakistan’s blasphemy laws. Minorities Minister Shahbaz Bhatti, an outspoken critic of the blasphemy laws, was killed by the Pakistani Taliban on 2 March 2011. “Those who speak out against the laws face terrible reprisals. However, the blasphemy laws violate international law and must be repealed or reformed immediately to meet international standards,” said David Griffiths.